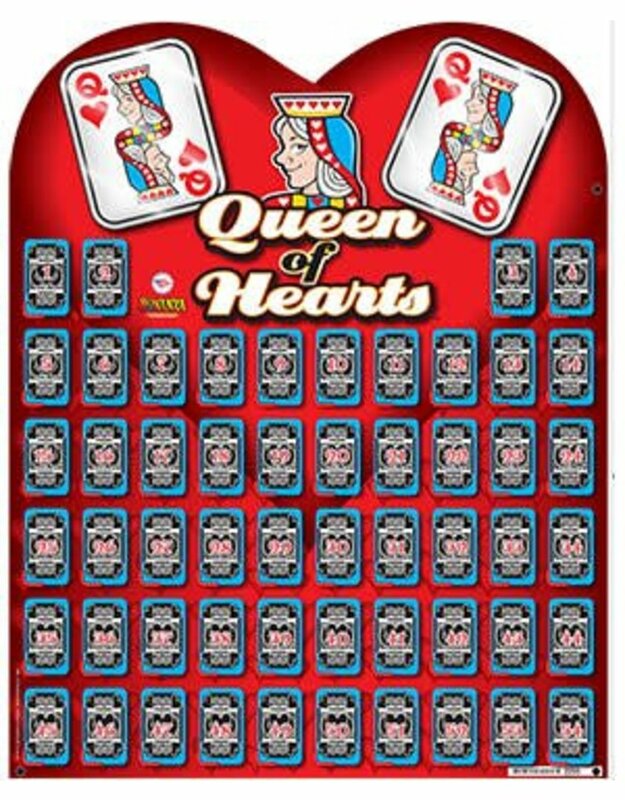 Queen of Hearts Board is 23.5" Tall x 18.5" Wide. This is a great fundraiser for any club! 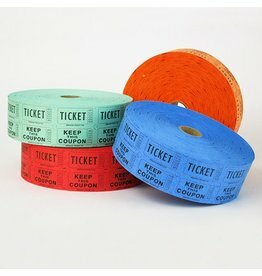 This board has been developed specifically for this Raffle Game and has 54 sealed numbered cards. Under the sealed cards resides a randomly placed deck of poker cards with two Jokers. 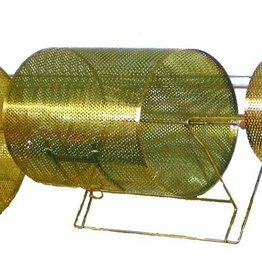 A TUMBLER or similar device is used for mixing raffle tickets.Tickets must be mixed in Public View. 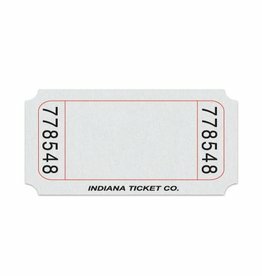 Tickets are typically sold for 1.00 each. The purchaser holding the winning ticket will pick a card from the board. To win the jackpot, you must pick the Queen of Hearts from the Raffle board. 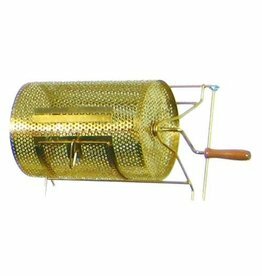 If the Queen of Hearts is not drawn, the pot rolls over to the next week. The pot will continue to build until the Queen of Hearts is drawn; this could take up to 54 weeks. 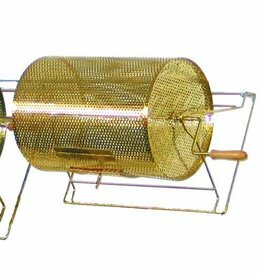 If you are not going to be present at the drawing, you must declare a numbered card from the board and write the number on your Raffle ticket stub Winners will typically receive 50% of the jackpot. 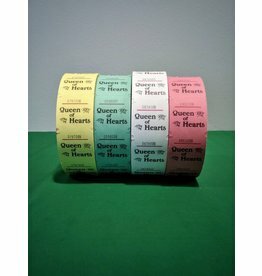 If the winning ticket holder picks the Queen of Hearts, they will receive a major percentage of the pot. The organization running the Raffle game will receive a small percentage.